Alanda June 10, 2017 Leave a Comment This post may contain affiliate links. 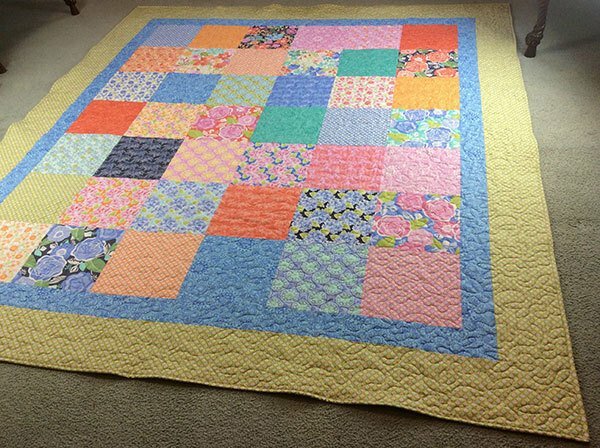 April is a busy birthday month for me, so this year I made decided to make some Layer Cake quilts for my daughter, Varinia, my grandaughter, Ishta and I finally finished the Strip Quilt for my granddaughter Ce’Nedra. 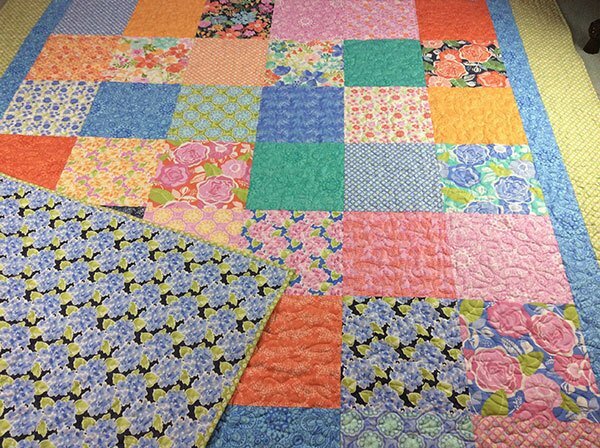 Layer Cake quilts are quick to make. I simply lay the squares out on the floor and move them around until they look aesthetically pleasing. Then I take a photo so I remember how I want the quilt to come together. This quilt is Varinia’s. I love the bright summer colours in this ‘Honey Honey’ layer cake by Kate Spain for Moda. The quilt is laid out in squares 6 x 7. I find that using a full layer cake of 42 squares makes a nice size for the finished quilt. I sewed the squares together, (with a ¼” seam) to form the rows. I tend to sew the rows together in lots of 2 first. Then sew each lot of 2 rows together to form the centre of the quilt. I used the one of the materials from the collection for the backing and another for the binding. I added a 3½” inch blue border and a 6½” green border. 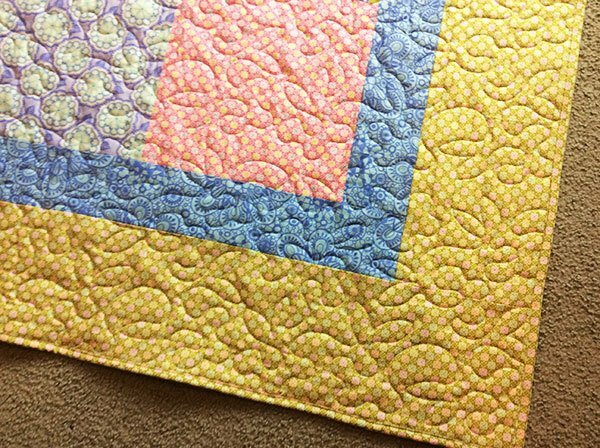 Chris from Sew ‘n’ Sew Sisters quilted the quilt and I just love the pattern she chose. You can check out our video interview with Chris here. 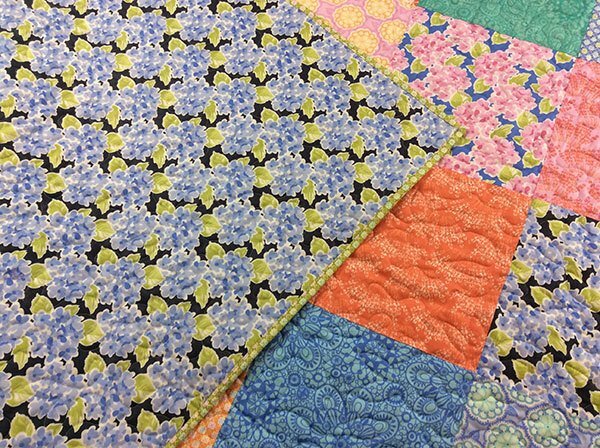 These Layer Cake quilts make such lovely presents.